The moon faced assassin of joy: My love/hate relationship with hot glue. My love/hate relationship with hot glue. 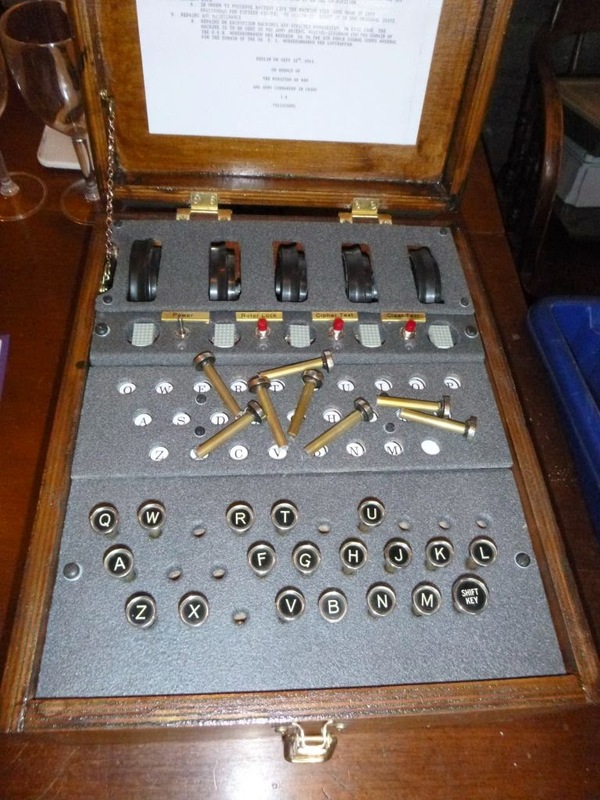 When I built the Enigma Machine I was really against the clock to get it finished. I ended up pulling some really late nights to get it ready to go. As a result I made some short cuts and one of them has come home to roost. I needed to make guides for the keys so they didn't rotate and did this by hot gluing some brass flats on the end of the tubes. I never really thought this was a great idea and even as it was going together some of the joins were a bit weak. Now over time, loads of the keys have come completely loose and the brass flats are rattling around inside the case. So today I'm going to have a go at sorting this out. I'm not quite sure how I'll fix this. I suspect I may just switch to epoxy as the key tops have stayed on the ends of the tubes just fine with that. I'll also try to even up the keys as they weren't all perfectly the same length. Did I fire five or did I fire six?